special thanks to Clermas whos Analog World Time watch served as inspiration for the rotating bezel here. Ive altered his idea and added to it so that it was original. 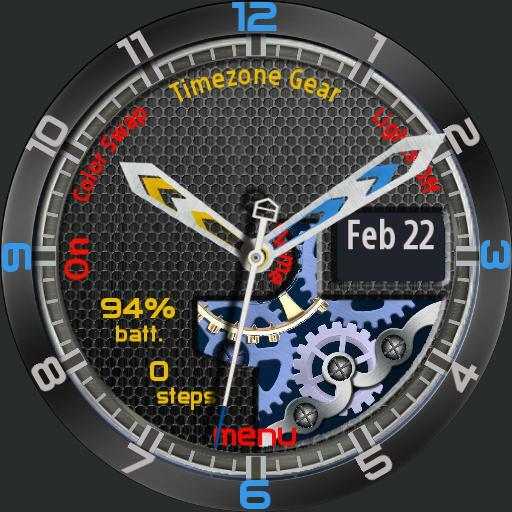 watch features skeleton animations, 16 time zones that should update to dst if applicable. Also 3 menu pages for either tracking workouts and steps, celestial information, and local weather. step counter gauges have 3 scales and automatically switch between them as necessary up to 30k steps. If you do more than that God bless you The calorie counters math is still a work in progress. Anyone who has this down Id love to hear from you. Includes sounds and optional lighting effects.